Photographer Lawrence Brenner took these shots of cosplay superteam Spiral Cats while they were in NYC doing some League of Legends work. 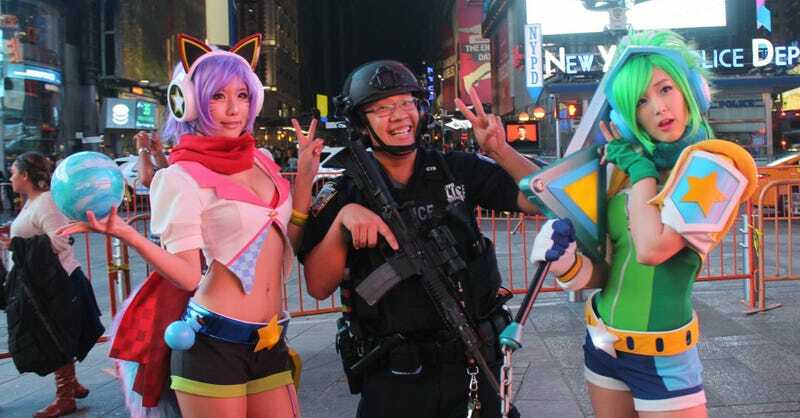 I’ve never seen an assault rifle-carrying police officer look so happy in my life. You can see more of Lawrence’s photos here.